You can save a lot of time and money by paying your energy bills by direct debit. However, there are advantages and disadvantages associated with this method of payment. You can save money by paying by direct debit. There are some concerns, however, related to this method of payment, notably possibly being overcharged and not being reimbursed should something go wrong. What are direct debit payments? Monthly fixed – a fixed amount is taken out of your bank account on the same date each month. This enables you to spread your payments over the year and enables you to budget well. Quarterly fixed – a fixed amount is taken out of your bank account each quarter on the same date. This enables you to spread payments out yet, of course, the payments will be bigger than if they were monthly. Therefore, you will have to manage your budget very well. Variable – each or quarterly your actual energy bill is deducted from your bank account at the end of a fixed calendar period. You just pay for the energy you use so the payments are varied in amount, with understandably higher bills in the winter than in the summer. Why are direct debit payments less expensive? 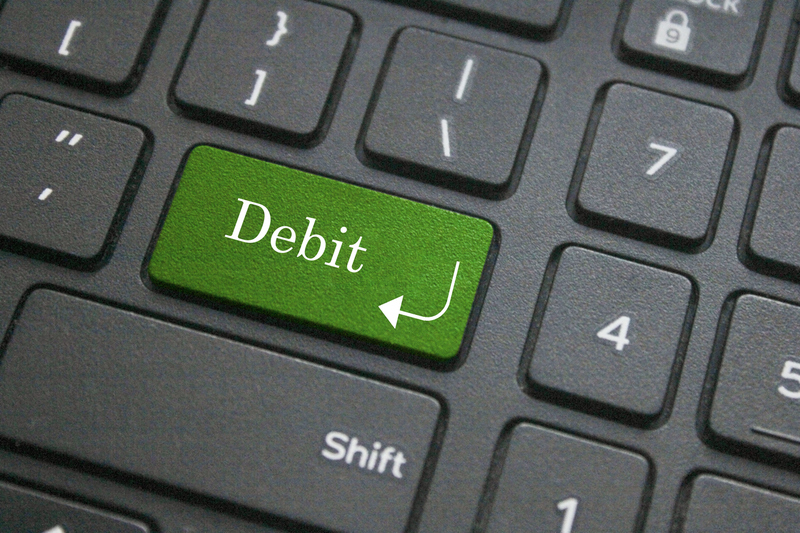 Companies assert that direct debit payments are less expensive to process than other methods of payment, such as, cash and cheques. However, the key advantage for the energy supplier is that it receives guaranteed payment. Hence, energy providers are keen to offer discounts to those who pay by direct debit. The amount you save is dependent on the energy supplier and tariff you select. The main advantage is that direct debit is usually the cheapest way to pay your bills. Upon setting up your direct debit payments you do not have to remember payment dates, eradicating the possibility of late payments as well as penalty fees. You will not need to write out and post off cheques, saving you time and money. You can control the amount you pay and when you pay it. Fixed payments mean you can spread your energy costs over the year whereby you do not have unexpected massive bills in the winter. Should you choose to have monthly fixed payments, your payments are going to be same and will be deducted at the same time every month which helps you to budget. You are able to cancel a direct debit at any point in time by writing to your bank or building society. Your energy supplier needs to give you written notice, normally a fortnight, should it wish to alter your payment the date or amount. Should your money be collected incorrectly, your bank or building society needs to provide you with a full and immediate refund, even if the supplier is the party in the wrong. Money can be withdrawn from your account when you have nothing in it. Hence, you could have to pay your bank and, in some cases, your supplier a fee for insufficient funds to cover the payments. As fixed direct debit payments are calculated from previous energy consumption figures, your payment amounts may not be exactly equal your actual usage. This could mean you end up paying more or less to your supplier. You can lose a degree of flexibility in terms of how you manage your finances. What can I do if I am overcharged? If you make direct debit payments that are higher than needed to pay for your energy use, it will end up with you overpaying your energy supplier. You are not going to receive any interest on the money you overpay. However, you are entitled to the overpayment being refunded. In certain cases, you may prefer the credit balance to be carried forward onto future bills. How to go about getting a refund? Certain suppliers automatically refund you should they discover that your overpayment totals more than a given amount. Should you pay by direct debit, this payment will go directly into your bank account. Should your account be more than £100 in credit at the end of your payment year and you have provided it with an accurate meter reading, you will receive an automatic refund. Should your account be more than £60 in credit at the end of your payment year and you have provided an accurate meter reading, you will an automatic refund. Upon your annual review being conducted, credits of £5 plus will be refunded automatically given that you have provided an accurate meter reading in the last six months. Should your account be £150 plus in credit at the end of your payment year you will receive an automatic refund. At your annual review, should you be in credit worth three months of payments you will receive an automatic refund. Under the Direct Debit Bonus Scheme, you will also get £1 for every full £33 you are in credit above £100. What happens should I be undercharged? Given the increases in energy prices, many people are discovering that due to their fixed direct debit payments, they have not been paying enough to cover their actual energy consumption. Should your energy supplier review your payments and discover that they insufficient, you are going to have to make up the shortfall. Your energy supplier has to inform you of the new increased monthly payment amount and the date from which it is going to be applicable. Should the shortfall have amassed over a period of time, the supplier can suggest a further increased monthly payment to pay off the amount owed over an agreed period. It is crucial that your payments reflect your energy use as much as possible, as should you swap energy suppliers you may owe a lot of amount of money which would be restrictive. How can I make sure that my payments are accurate? You can lower the likelihood of being overcharged or undercharged by managing your account online and taking your own meter readings. This can help make sure that your bills are accurate, highlighting clearly how your direct debit payments are linked to your energy use. Overall, online tariffs also offer further discounts as there are no costs associated with a technician taking your readings. Will I be disconnected or charged should I miss a payment? You are highly unlikely to be disconnected, especially if the energy supplier knows that you are an older customer or there are children in the property. Should you miss a payment or cannot make a payment, get in touch with energy provider as soon you can. Government regulations state that customers ought not to be disconnected from services if a payment arrangement is made and payments are made on time, even if minimal. Most energy suppliers offer those in debt special payment plans. The Energy Retail Association (ERA, www.energy-retail.org.uk) has developed the Code of Practice for Accurate Bills. It is supported by British Gas, npower, Scottish Power, EDF and E.ON. The ways in which an actual meter reading can be provided. Moreover, the ERA has established an Energy Supply Ombudsman who will adjudicate disputed claims for compensation that have not been settled to the customer’s satisfaction via the supplier’s complaint system. Direct debit payments can reduce your energy bills considerably. Should you also manage your account online, you can make considerable savings. To avoid bank charges as well as potential fines, ensure that you know precisely the date the payment will be taken out of your bank account and ensure that you have sufficient funds in your bank to cover the payment. The solution for this is to set your direct debit payments to leave your account a few days after your salary goes into it. Give your supplier frequent readings so they have an accurate measure of your energy use. Check that you are making the correct payments to cover your use. Submitting your meter readings online is a simple, quick method of payment.